Are you new to the idea of slow feeding your horses? It comes with a lot of benefits for your horses so it is worth trying. 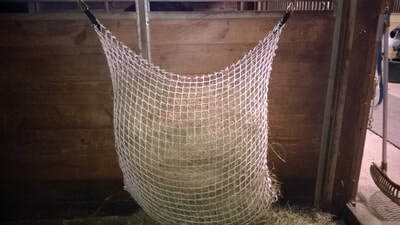 Pamper your horses and keep them healthy using Hayburners Equine slow feed hay net! 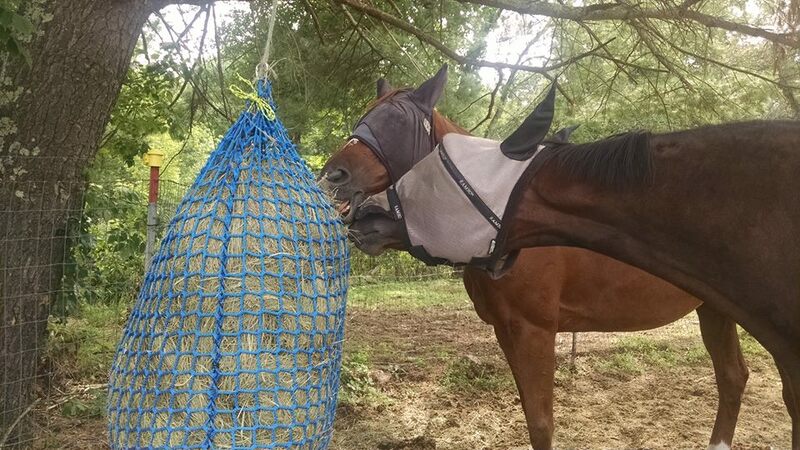 The use of slow feed hay nets is beneficial in several ways. 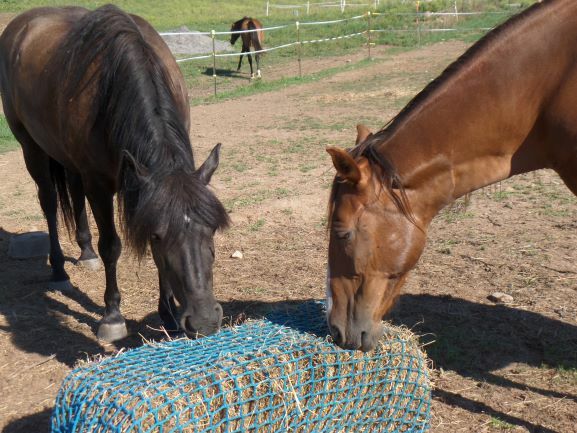 Slow feed nets will Improve the Health of Your Horse. By slowing down forage intake to a more natural level that closely mimics grazing in the wild. Horses that are fed “free choice” hay 2 or even 3 times daily are much more prone to ulcers, spikes in cortisol levels, colic, and vices. Research has proven horses are much less prone to these digestive issues when they can “graze” as nature intended. 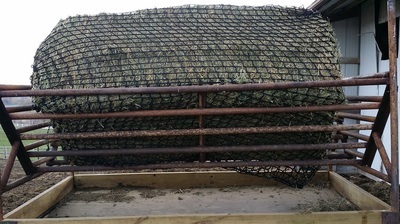 Slow feed hay nets are a proven way to create an effective solution to the forage intake problem. Slow feed hay nets will save you money. 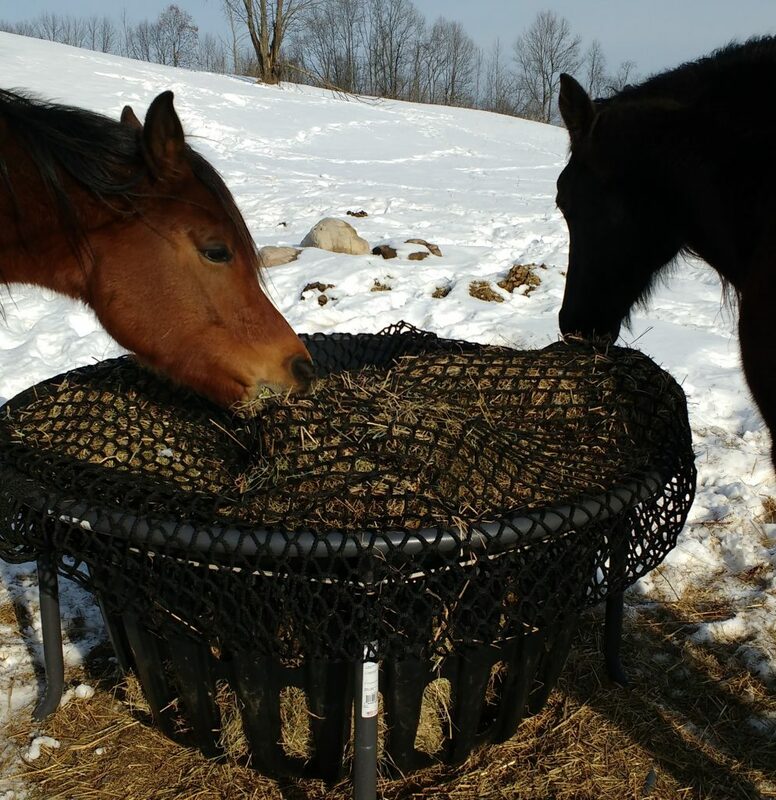 It won’t take long to realize after beginning to use a slow feed hay net that you are seeing far less hay scattered around the stall and in the manure pile. Even a low estimate of 30% savings in wasted hay can add up to a lot at the end of the month. Do the math! Slow feed hay nets will save you time. We recommend getting a net that might be a size larger than you think you need. Think of it like a reservoir. When feeding the “free choice” way 2-3 times per day vs 1 time per day with a hay net it’s easy to realize you’ll have more time to catch up on those other chores. Our goal is to produce the best slow feed hay nets in the market at a fair price. We’re not out to be the leader in volume, we are determined to be the leader in value. Custom bags can be made from any of our stock hay net materials.